This week’s Cash Flow Wealth Show features David Lovelace from Anik Singal’s VSS Mind & Media. Today’s lesson is all about making money on the internet. Dave discusses how to find your niche, how to source products, and how to stop thinking like a consumer and start thinking like an entrepreneur. Dave also gives the 9 step forumla for offering a product and the launch sequence, as well as the key to generating traffic and importance of upsells and downsells. Darren Weeks and Matt Donnelly are here this week to teach you the 5 secrets to raising capital the right way. When it comes to raising money, whoever raises the most capital wins, and once you can start investing with other people’s money, your returns are infinite. In this episode, Darren tells you the #1 reason he’s been able to to find more the 5,000 investors is by changing their context. Remember, investors are always looking for just one reason not to invest with you, and you’re bringing something to the table that’s different from everything they’ve ever been taught. This week you can learn a pressure free way you can raise capital through an education based sales process. This week’s speaker is Darin Adams from Infusionsoft. 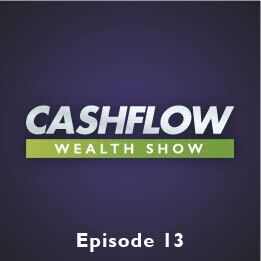 The premise of this episode is simple, there are three things you need to know about small business success, and one of the most important things you need to remember is how you can offer more to the people you’re serving, and how you can automate it. Automation is one of the things you can do in your business that can increase sales, increase customer interactions (and help with reviews and such), and cost you no time at all. Tools like Infusionsoft can help you learn everything possible about your ideal customer, the biggest database almost always makes the most money, and automation can expedite your path through the 3 steps of selling (which Darin will explain). And above all, remember, you need to run your business in PASSION mode if you want to really succeed. This week’s speaker is Dale Richards, who is here to teach you how to 2-5X your business. Dale presents the 7 Ways to Increase the Value of Your Business, the 3 ways to value a business, how to fine reoccurring revenue to massively increase your bottom line, and the most valuable thing you can do for your business personnel. Dale also warns you of the #1 fault of owners, presidents, and officers, as well as how you can avoid falling into that trap. He also explains just what goals your business needs that it likely doesn’t have right now. Dale specializes in management, marketing, operation optimization & business valuation consulting and is a 20+ year turnaround expert. He has implemented success concepts into results in 150+ companies. Dale is a Certified Valuation Analyst (CVA) with NACVA and is a Vistage International National Speaker and CEO-Board Chair in Utah.